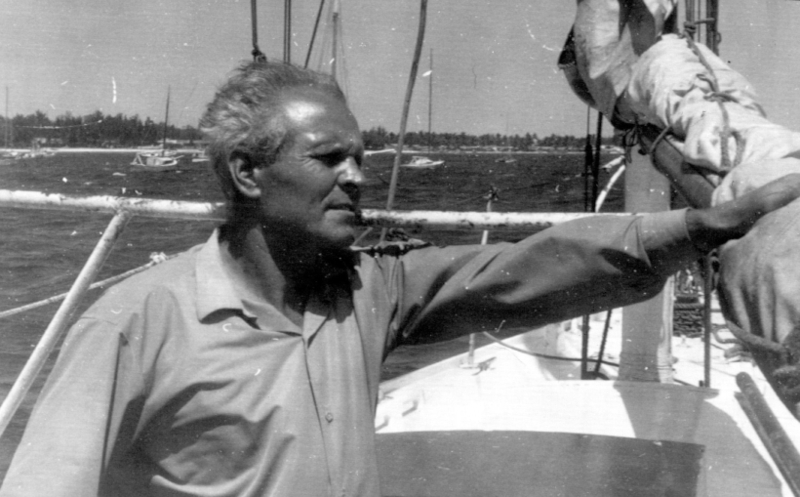 When Leonid Teliga set out to sail around the world almost 52 years ago to this day, he felt great trepidation about the immensity of the journey ahead of him. But he must also have felt great pain from the cancer that dogged him throughout his expedition and finally killed after arriving back in Poland. 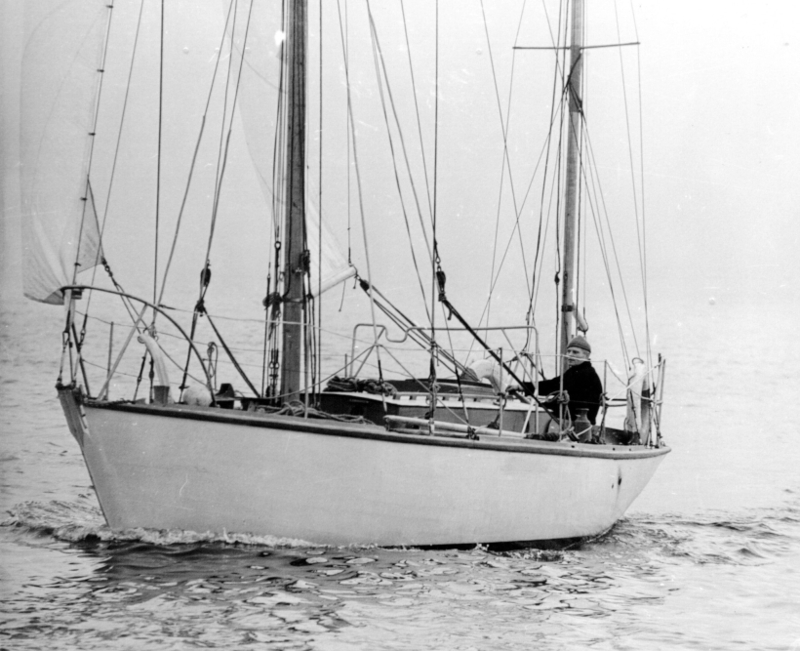 Despite this handicap, Teliga became the first Pole, as well as the first Slav, to circumnavigate the globe under sail, leaving Casablanca on 25 January 1967 and arriving back at his starting point over two years later on 30 April 1969. 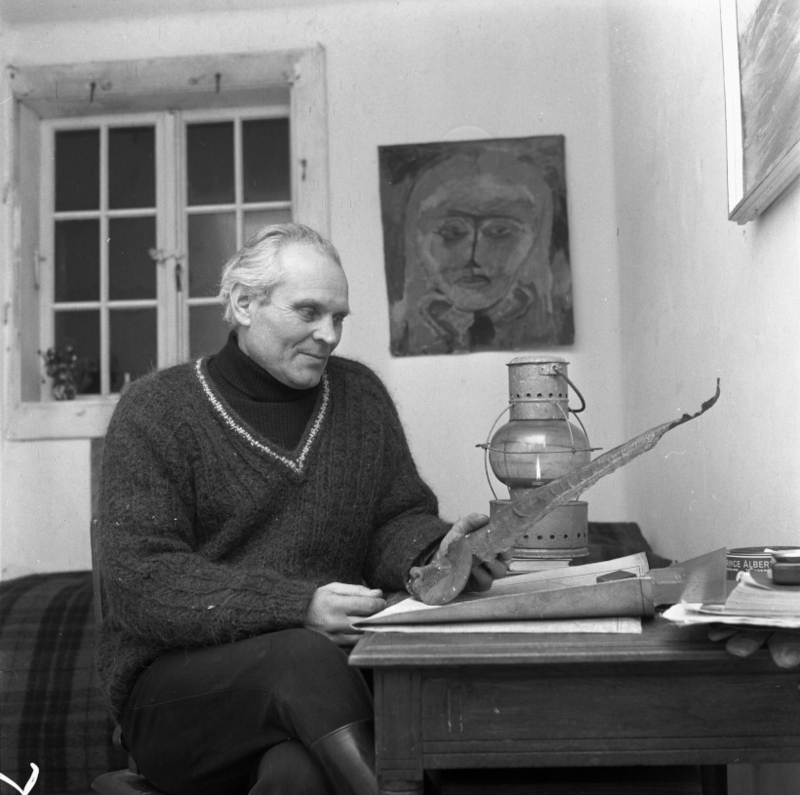 The former army officer who defended Poland in September 1939 and joined Ander’s Army in the Soviet Union, mentioned his fears before casting sail. He talked about his health problems, and about the fact that he even consulted doctors about whether he should cancel the expedition. Almost as soon as he left Casablanca to head towards the Canary Islands, his ailments reported their presence. “I saw clouds in the sky and the first storm appeared. Then I was struck by a lumbago attack. I got through the storm, after some time the lumbago attack passed. “Then, before me one of the most wonderful corners of the world appeared, I saw the place where the Atlas mountains reach almost the Atlantic. I felt as if I had entered some wonderful art gallery,” he recalled. After crossing the Atlantic, Teliga encountered more difficulties, albeit of a more prosaic kind when it took him nearly two weeks to negotiate with the Americans to let him pass through the Panama Canal. The Polish embassy in Washington intervened, and Teliga was even became a cause célèbre in the world press. The incident, however, caused Teliga to change his planned route as he believed he would encounter similar problems in Australia, which he avoided after being informed in Fiji that he would be allowed to stay “only for the purpose of necessary repairs and supplies”. Teliga wasn’t always confronted by this kind of pompous bureaucracy. When he called into port, he would usually be greeted warmly, especially by Poles, who he often met. At that time, circumnavigations of the globe were still quite rare, and yacht clubs along his route were keen to make him their honorary member. Out on the high seas, he was frequently recognised by the crews of yachts and ships from around the world. The longest and most gruelling part of the trip was the 21,340 km leg from Fiji in the Pacific to Dakar in West Africa, which he completed in around 5.5 months without calling into any port. When he was sailing off the cost of Cape Town, which he couldn’t enter for political reasons, a South African tourist yacht spotted him. It turned out that his solo voyage had caught the world’s attention and people were looking out for him. By that stage, Teliga was short of just about everything, so the South African’s tossed over everything they had that could be of use, including what he wanted most – fresh sandwiches and a packet of cigarettes. When he arrived in Dakar 165 days later, he had broken the world record for an uninterrupted solo ocean-going journey. 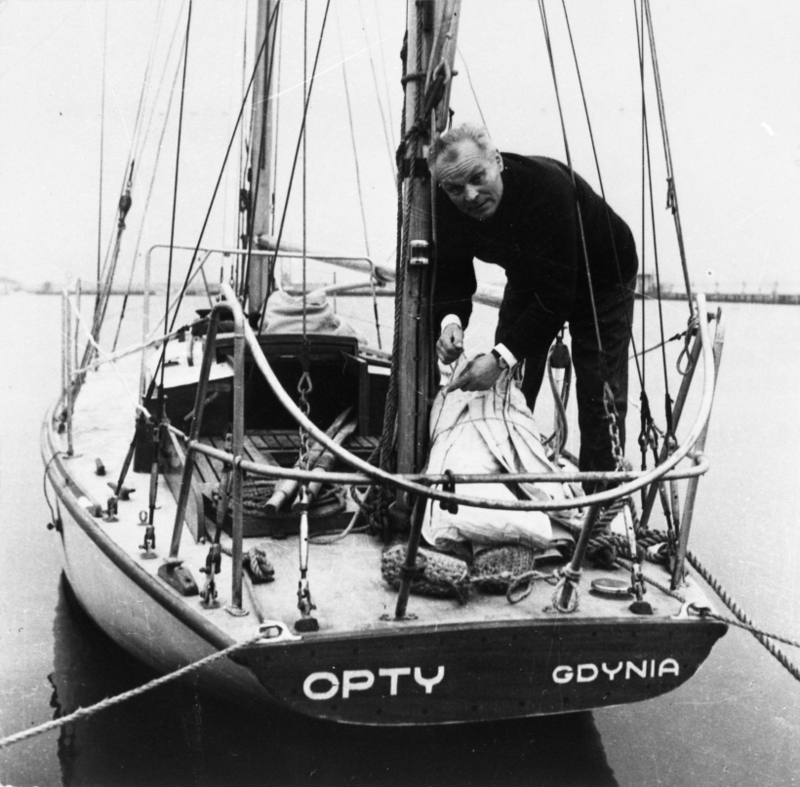 On 5 April 1969, Teliga finally returned to Casablanca, completing his circumnavigation in 2 years, 13 days, 21 hours and 15 minutes. 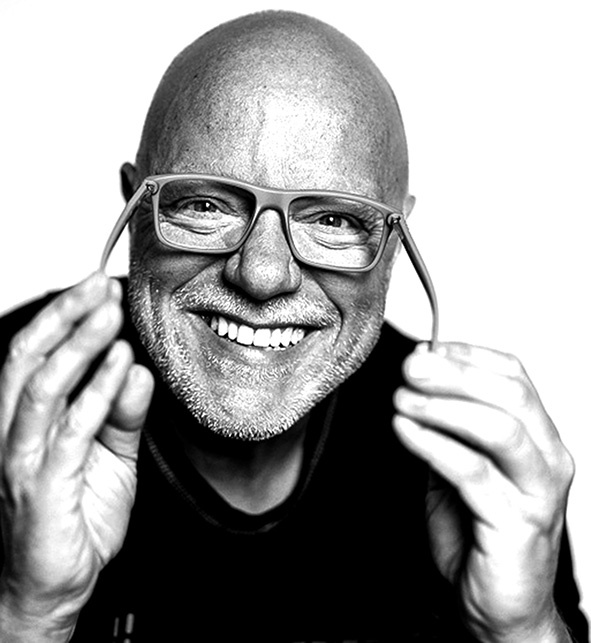 He intended to sail further, but his cancer was developing rapidly and he was transported back to Poland by plane, where an ambulance was waiting for him. Despite surgery, he died on May 21, 1970. He is buried in Powązki Military Cemetery in Warsaw.